From: Lost Chief - All i can do is be the best me i can! Amazon. com is selling "How to train fighting dogs"
There are several "how to" books regarding dog fighting currently listed on Amazon. 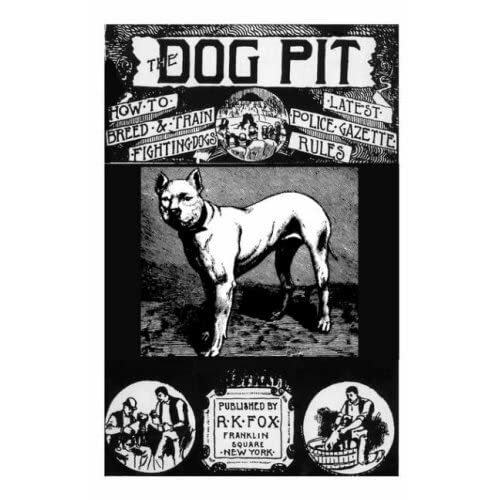 If you can not access the Amazon link, it's called The Dog Pit. I have heard of this one before, it's been out of print for some time; it's really surprising and disturbing how something like this is published once again. Yeah it's bad enough that Micheal Vicks might get out easy. Although I heard there are some of those in the NFL that may make wish he were back in prison if he gets out easy. There is a petition regarding the subject about not letting him get out I will post that later. Thanks for your reply. He was prisoned and it's already a good thing... in my country I don't believe he would.